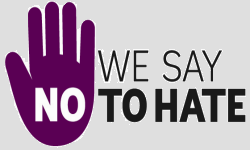 If you have experienced a hate incident or see or know about hate incidents in your community, it’s important to tell someone about it. By reporting an incident when it happens, you can help stop it happening again and we can ask you about any support that you or any other person affected may need. There are lots of ways that you can tell us about it. You don’t have to give your personal details if you don’t want to or provide any evidence. Where can you report it? We encourage you to tell the police but you can also go to one of our third party reporting centres. We have five reporting centres in Cornwall, where you can talk to trained staff about your experiences and they can give you help and support. They can also help you to make a report to the police or any other organisation if you wish to or make a report on your behalf (this is called third party reporting). Adult Care, Health and Wellbeing has launched an online directory of organisations, services and activities for the people of Cornwall to be able to find what they need all in one place. Visit the Cornwall Community Directory now and see if they can help you.